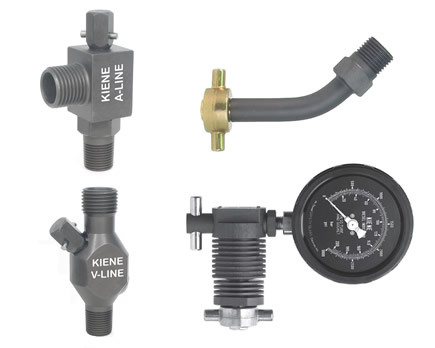 Kiene Diesel Accessories’ products for large engines/compressors focus on the need to measure and monitor cylinder pressure in large-bore engines and compressors. We manufacture a wide range of indicator valves covering most large engines and compressors. In addition, we manufacture the K-Series Cylinder Pressure Indicator – a simple, rugged instrument for measuring peak cylinder pressures. These products are divided into two areas: products for engines or power cylinders and products for compressors. Please click on the area of interest below to access more information. Kiene’s engine indicator valves utilize all-steel construction to withstand the high temperatures and pressures of engine combustion. They include our A-Line and V-line valves, K-series Cylinder Pressure Indicators and related accessories. 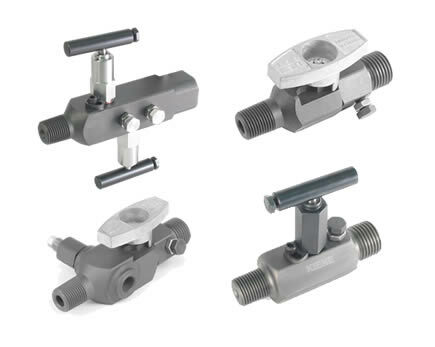 Kiene’s indicator valves for compressors include both ball and needle versions. They incorporate an integrated indicator connection, straight-through flowpath and compact configuration. Models are available for service to 6000 PSI and 500 degrees F.